Our Calendula Body Cream is perfect moisturizer for your whole body. Calendula is renowned by its repairing and calming properties. 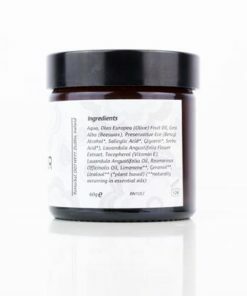 Simple application and quick absorption are some of the features of our cream. Try and see yourself! 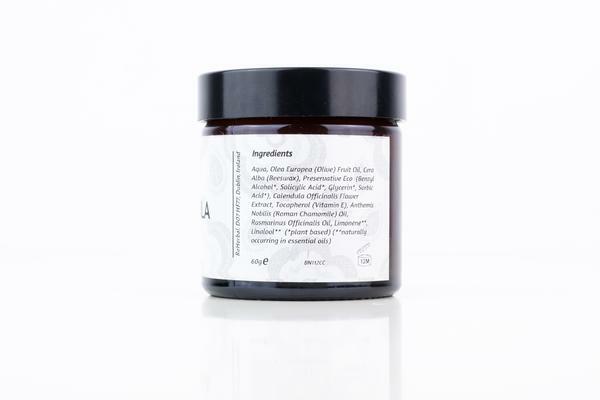 Calendula Body Cream – a repairing and hydrating body cream made with beeswax and extra virgin olive oil. Our natural Calendula Body Cream with extra virgin olive oil is suitable for damaged, sensitive, matured and weather sensitive skin. The olive oil strengthens, nourishes and hydrates damaged and irritated skin. It is a nutrient-rich oil, full of antioxidants, beneficial vitamins, and minerals. If you have stretch marks or patches of dry skin, the creams with olive oil are the best choice for you. Calendula is notorious for its calming and skin healing properties. Anti-inflammatory and antiseptic properties of Calendula helps with tissue growth and repair. 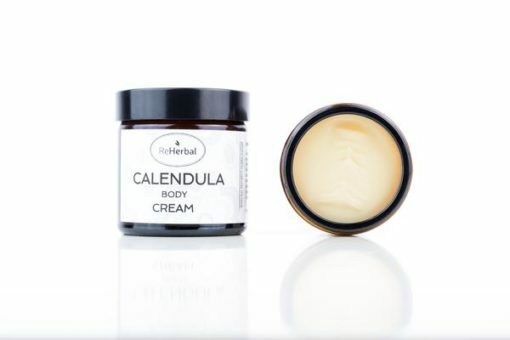 Diaper rash, varicose veins, stretch marks, bruises, eczema, and more skin disorders will benefit from the mixture of Calendula, Olive Oil and vitamin E. Our Calendula Body Cream is gentle and very effective for most types of skin. Apply cream on clean dried skin and gently rub it in. The texture of the cream is soft and suitable for everyday use. It absorbs very fast and does not leave the oily effect after its use. Our Calendula Body Cream is handmade in small batches and is ready for sale now! Check out our store for more body creams. We believe that everyone will find what he is looking for. 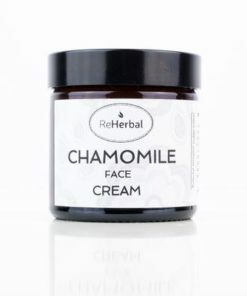 ReHerbal is a small-scale skincare business, based on excellent personalized customer service, lower price, consistent quality of the ingredients, the minimum amount of ingredients, and use of botanicals with healing potencies whilst avoiding controversial substances. Sign up below to get notified on new products, articles and deals!